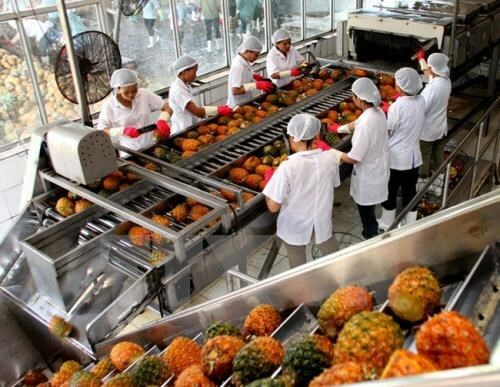 Hanoi (VNA) – The cultivation sector is expected to grow up to 2.05 percent in 2017 thanks to bright prospects in major export markets, according to the Cultivation Department under the Ministry of Agriculture and Rural Development (MARD). Since early this year, the prices of most fruits have increased, while the rice price has remained stable. The sector has replaced unproductive rice with other plants to match demand, mainly with fruit trees. Production plans will also be adjusted to minimise damage from extreme weather, especially in vulnerable areas such as the Central Highlands and the south central coastal and Mekong Delta regions. The sector will also maintain the productivity of coffee and cashew farms, while expanding tea fields. The Cultivation Department will also guide farmers in cultivating rice in the northern and Mekong Delta regions for high yield. Nguyen Hong Son, head of the Cultivation Department, said that the autumn-winter crop in the Mekong Delta region is important, as it is expected to make up for the fall in productivity of the winter-spring crop 2017 when rice yield dropped 296,600 tonnes from 2016. Son advised regional localities to strengthen forecast efficiency to prevent insect spreading, thus ensuring productivity. Son added that the provinces should prioritise rice varieties with high export value such as Jasmine 85, Nang Hoa 9 and VD20.